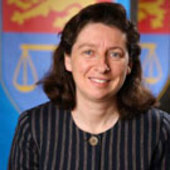 Anne Twomey has received grants from the Australian Research Council and occasionally does consultancy work for governments and inter-governmental bodies. Help combat alt-facts and fake news and donate to independent journalism. Tax deductible. Australia burns. The politicians play silly infantile games. Little wonder they rank so low on the community trust scales.